With the holidays right around the corner, I'm starting to think about what I want to do leading up to Christmas: gifts to buy, cookies to bake, and what hosting we'll be doing, or functions we'll be attending. I'll be the first to say that I'm not an expert when it comes to hostess gifts, but I do enjoy picking out something with a personal touch. One of my favourite things about the holidays is the food, especially the appetizer and finger-food type! I found this cheese board by President's Choice for only $9 and although it's not super fancy, it's unique and a budget find. 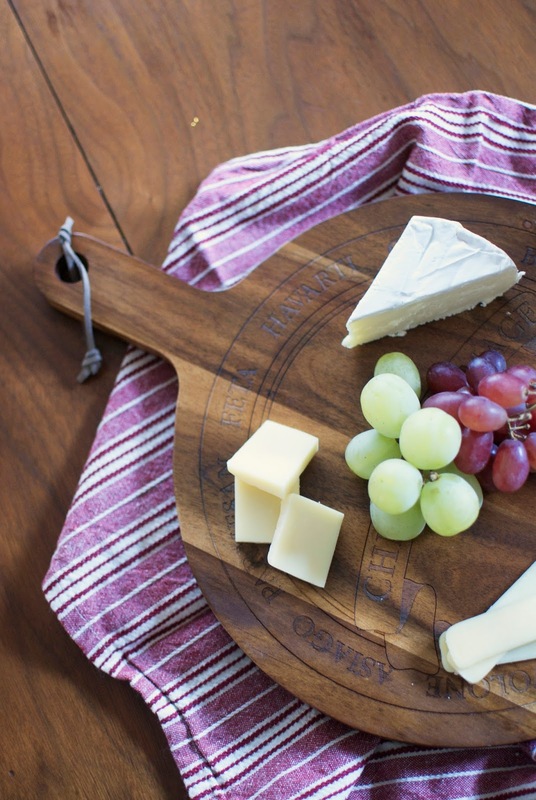 If you're invited out over the holidays, this board would be perfect to bring with your cheese of choice already prepared, then you could leave it for your host. 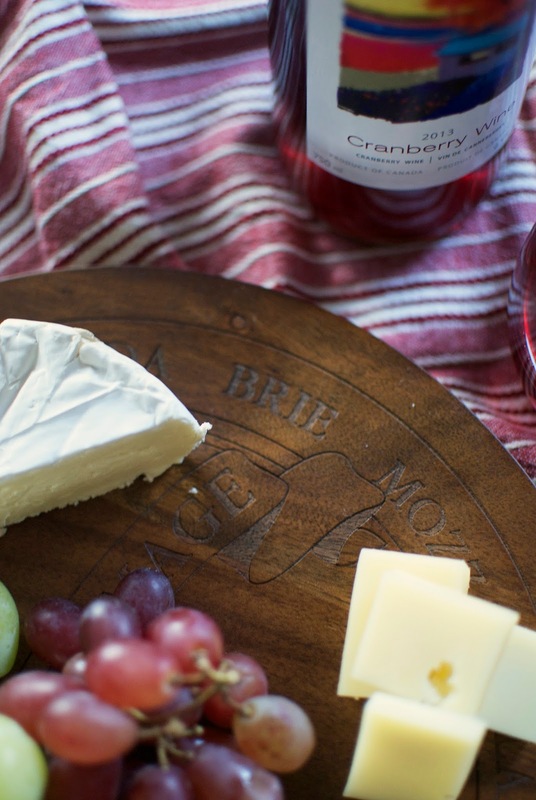 Pair the cheese with pears, grapes, and figs to round it out! 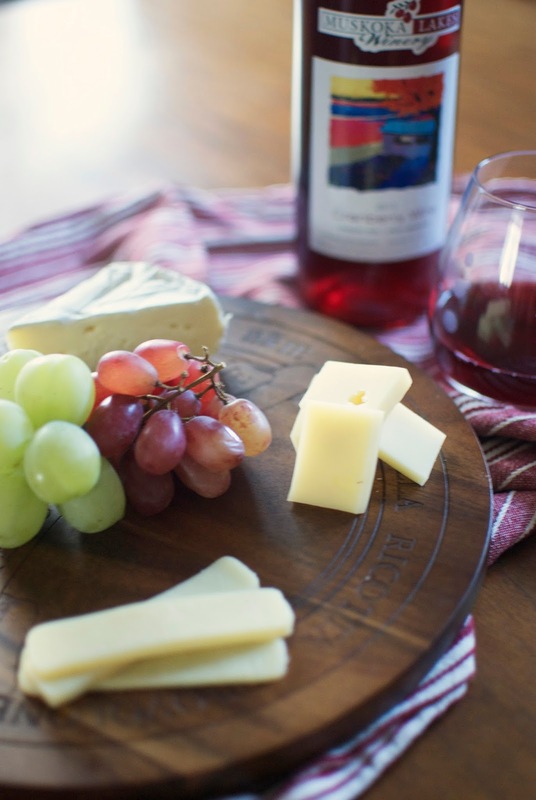 Everyone knows wine and cheese are a perfect match. This Muskoka Lakes Winery cranberry wine is my absolute favourite bottle to have and give over the holidays. Likely because it's got that little piece of home attached to it, being from Muskoka and all, but also because it's cranberry and it goes without saying that cranberry + Christmas are also a perfect match. They also have a lovely cranberry-blueberry and white cranberry, among others. 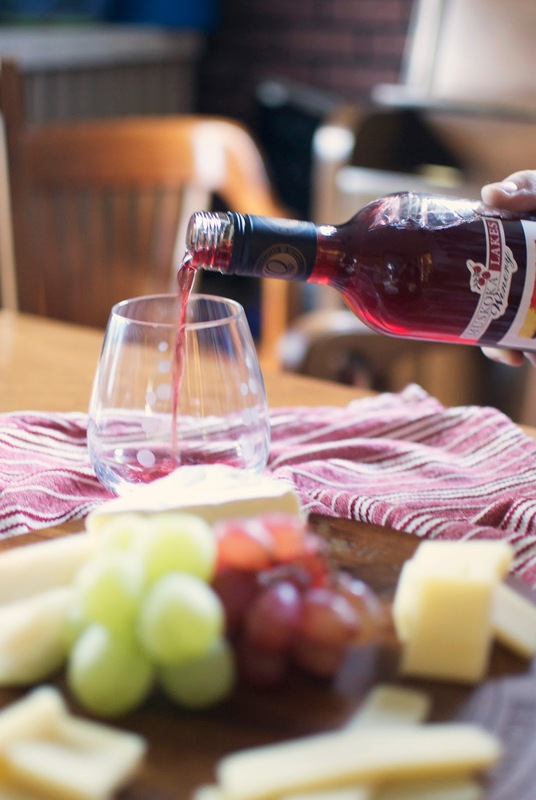 If you ever find yourself in Muskoka, I strongly suggest checking out the Johnston's Cranberry Marsh and the Muskoka Lakes Winery in Bala, Ontario. I've got a lot of great ideas coming to the blog from now until the end of the year, then we'll see where 2016 takes us. Until then, I think it's safe to say my brain has switched over to Christmas mode. After all, I need something to preoccupy my mind through the horrible month of November! So VERY sweet Emily, all of it! I just love your cheese board, and yes Presidents Choice surprises me many times with such beautiful items, at little cost. It all looks so professionally but lovingly, beautiful:) You are just the best with simplicity in your creativity!